Vegetables Coloring Pages have mant different Vegetables on the image, look there are carrot, pea, tomato, cabbage... and what you know? please write down names! do you like free coloring pages? yes! that's we are, printfree.cn bring you fresh free printables! just enjoy it! Apple Coloring Pages is a apple cartoon on the middle of picture, look the apple have face, eyes, mouth...it's lovely apple, your kids may love it! try to download it for your kids, it's free! we have many free coloring pages for download and print! that's you may paint color for it!Love you so much the apple said! look the apple face turn to red color! come on, just print and paint it! Hello, come to see our Pea Coloring Pages ,there are some pea on the picture,and few leaves, do you like pea? kids are all like fun coloing pages, free printable is good thing for kids. you may download it for free form printfree.cn, don't be shame just download it! Free printables good for kids, we love this pea coloring pages! don't you? Orange Coloring Pages is a nice coloring page, look there are a orange has been cuted, you may paint colors for it, like orange, green, red, every colors you can do! Orange is a good furit, you may drink orange juice every morning, don't you? you may just download and print it out! it'd free to do everything! I know you love printfree.cn! please remember this site, comeback often, we update often, bring more fresh printables to you! free prinables is our job! 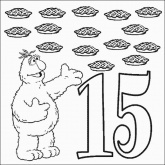 Do you like Grape Coloring Pages, Grape is very good furit, you may love it! Grape have many colors, purple, green, red, yellow and black. you may download this coloring pages and paint different colors, just bacause grape have many colors! this is free printable, we don't chage you. for printfree.cn we have many coloring pages for kids, you maybe found and download them. that are all free.for something you may do is just remember printfree.com, comeback often! YOYO and Tom & Jerry, they play YOYO...Jerry already play good, but Tom still don't know hot to play YOYO. Do you like Jerry or Tom? You may print out it and filling color! The picture from Disney company, Have you watched the cartoon movie Tom and Jerry? Printable for Free! 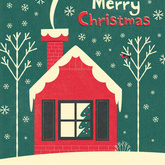 We recommend you to download our Greeting Cards either! Enjoy PrintFree.cn! Do you like cartoon movie Tom and Jerry? 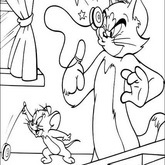 Today I have found some old cartoon coloring pages,almost is Tom and Jerry Coloring Pages. 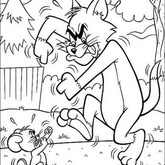 This is The Rabbit Coloring Pages from the collect of Tom and Jerry package, there has two lovely Rabbits inside the picture. the one lay on another knees nearly sleep...grass and spring flowers are around them, wind, sunshine... such a beautiful!